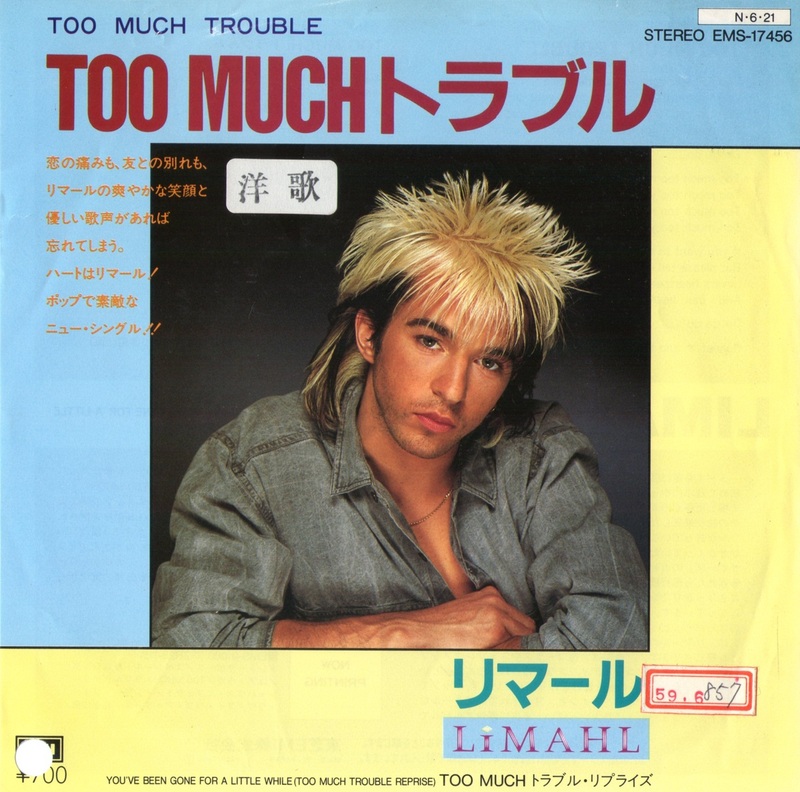 KajaFax holds many Kajagoogoo and Limahl Japanese editions in its archive and today continues our series of articles designed to showcase them. Question. 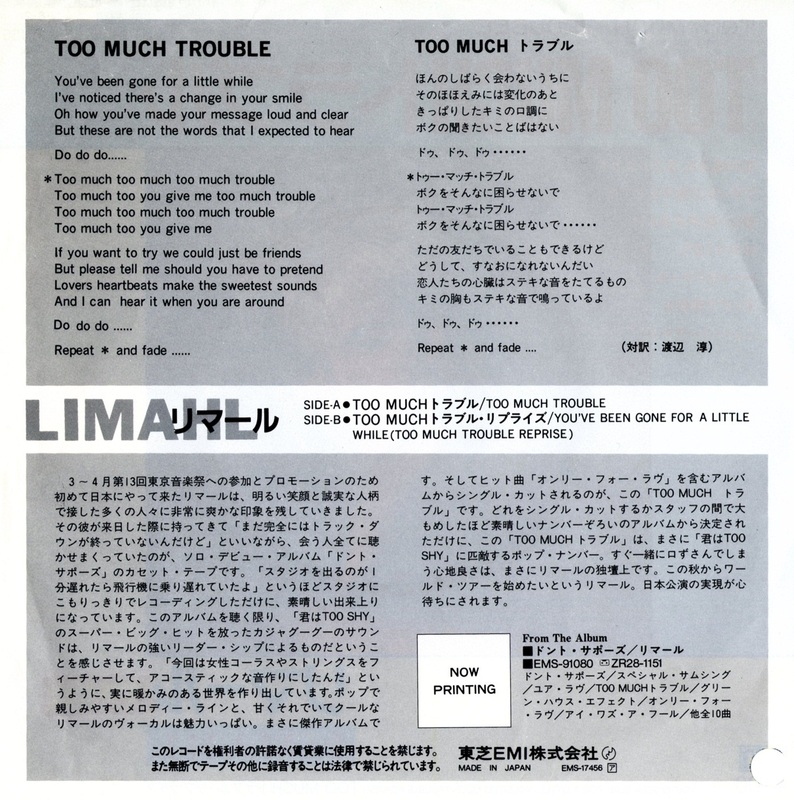 What makes a Japanese issue 7” single more collectable? The answer is of course, when it’s a promotional copy! 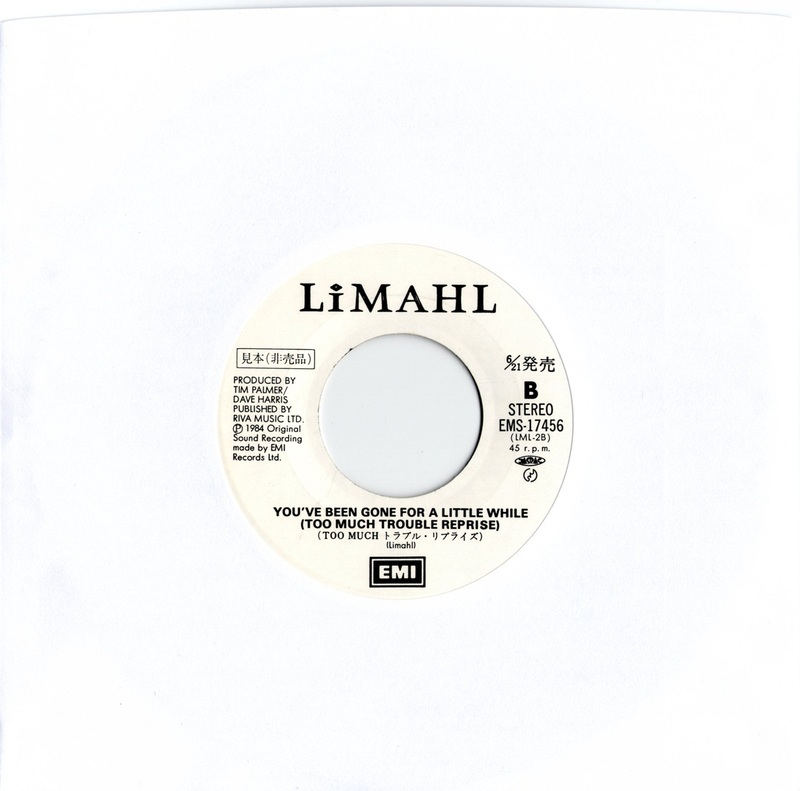 Promotional singles come in many varieties. The modern DJ promo single as a rule comes in CD-R form and is nowhere near as attractive as its vinyl predecessor. Back in the golden age of the 7” single, promo discs could differ in many ways – anything from the subtle addition of ‘DJ’ in the catalogue number, to specially stamped or stickered sleeves. Japanese issue discs had a fairly standard approach using the familiar red and white promo stickers on both the picture sleeve and the label of the disc. The disc label itself differed from standard by being printed in black and white rather that the usual black/silver or mustard/black colour combinations. 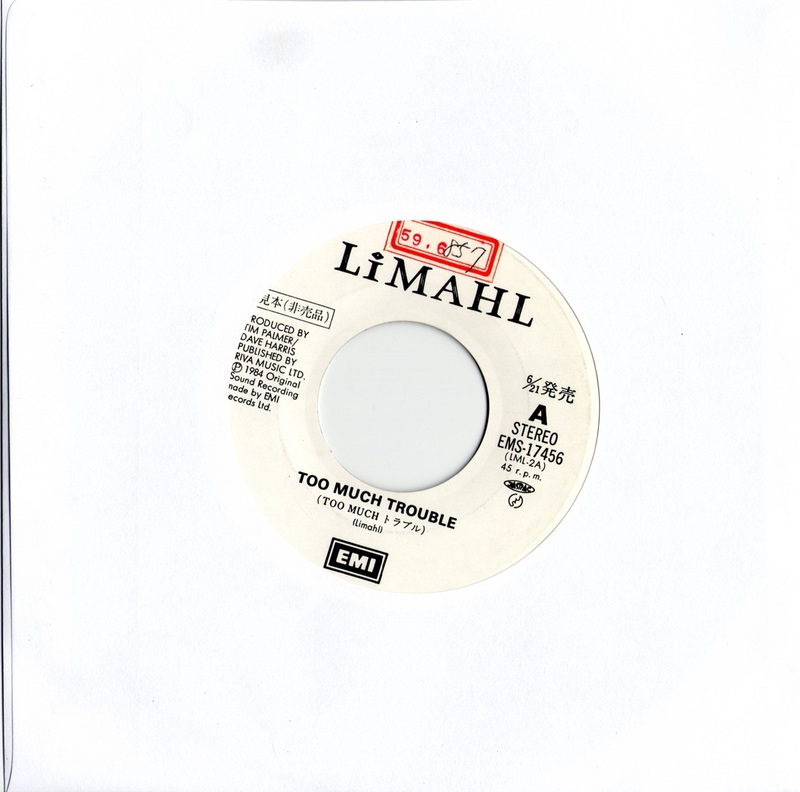 Today, we present Limahl’s second hit single taken from the Don’t Suppose album ‘Too Much Trouble’. The below images are scanned from the actual disc to give you the very best viewing pleasure in the highest detail. To round off today’s entry, here is the video for that single, courtesy of EMI Music. ← A Nick Beggs Exclusive….Now Available on Pre-Order!